You are here: Home / online shopping / Amazon / Amazon: Life Multigrain Cereal for $2 per box! 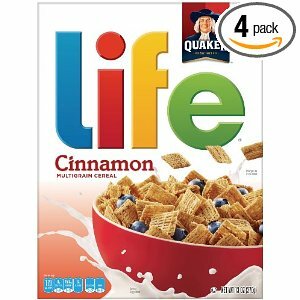 If you’re looking for a deal on Life cereal right now on Amazon you can get Life Multigrain Cereal for just $2.06 per box! You may be able to get a better deal in your local stores, but coupons for Life cereal don’t come around very often and you can get this shipped straight to your home. 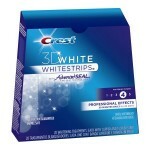 Throw in a $5 Amazon gift card that you’ve earned from Superpoints or Swagbucks, and you’ve got an even better deal! Make sure you choose a Subscribe & Save Delivery Schedule from the blue box on the right. You can cancel Subscribe & Save at any time after you receive your order and you’ll save 5% plus get free shipping on this order with Subscribe & Save! They will also send you an e-mail reminder before your next scheduled delivery and you can cancel at that time, too, if you choose to do so. 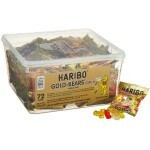 Haribo Gold-Bears Minis, 72-Count Bags for $9.34 shipped! 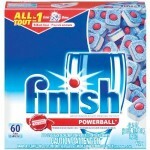 Finish Powerball Tablets for $.17 each shipped! 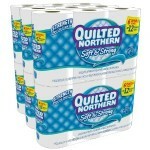 Quilted Northern Soft ‘N Strong Bath Tissue for $.28 per roll shipped! 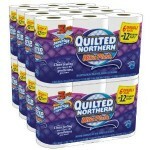 Quilted Northern Ultra Plush 3-ply double rolls for $.26 each shipped!